Finally, the women’s weightlifting revolution is building momentum. More and more women are picking up barbells and dumbbells, increasing their strength and power, and banding together because of it. But even with its increasing popularity of strength training, there’s still a camp of firm believers in that whole “weightlifting will make me bulky and masculine”. We’re here to crush that argument once and for all. Being a woman who lifts heavy weights won’t make you bulky, manly, or look like a she-Hulk. In fact, it’ll do just the opposite: It’ll tighten and tone all over your body, burn fat, and shape your curves exactly how you want them. Here’s five specific reasons why you won’t turn into Arnold overnight, and why strength training is for every woman. 1. You’ll burn more calories. 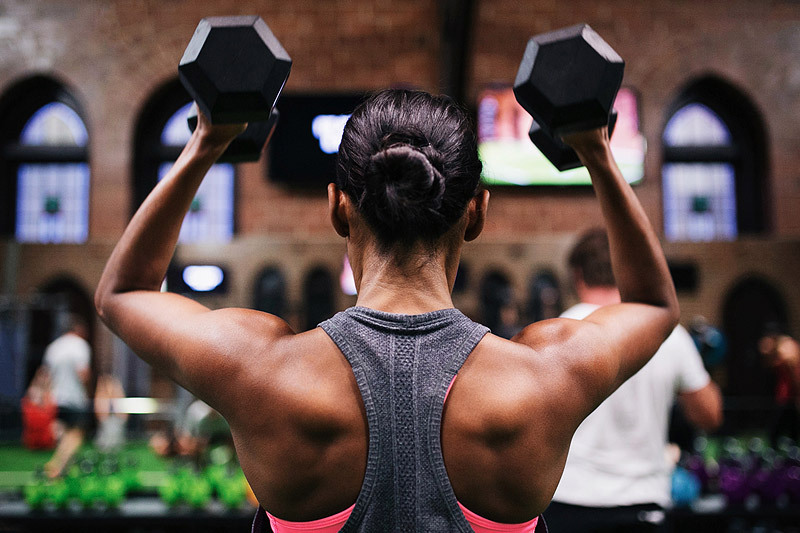 Lifting weights doesn’t only affect your muscle tissue. Resistance training also increases the release of testosterone and human growth hormone (although the amounts may be different depending on your gender and workout). But, more importantly, your metabolism gets a boost. Lifting weights can increase your lean body mass, which increases the number of overall calories you burn during the day. So by adding more lean muscle, you’ll be burning more calories outside the gym, even when you’re chillin’ on the couch or typing away at work. 2. You’re shaping your body—not making it bigger. Lifting heavy weights is a great way to get the shape of the body that you may be seeking. You could churn away at the elliptical, bike, or on the trail for hours, trying to burn fat. 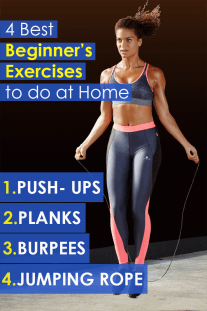 But the secret to a tighter body isn’t in burning off every ounce of jiggle with cardio—it’s in creating a solid, muscular base. Want a perkier bum? Do squats and deadlifts. Want more defined arms and back? Do some shoulder presses and pull-ups. Bench presses and snatches aren’t necessarily required—you can work with a trainer to find a strength training routine that works for you and your goals. 3. You train for the results you want. Women can use resistance training to reach all types of health and fitness goals, and this includes aesthetics. Sure, you could use weightlifting to train for competitive powerlifting (like these badass girls on Instagram), Olympic-style weightlifting, or for a bodybuilding competition, or you can just use it to be fit, healthy, and confident. There are plenty of plans to suit your needs. If you’re simply looking to improve overall shape of your body and improve your body composition, then lifting weights is also a very important component of a well-rounded fitness program. If you want to gain significant amounts of muscle mass, you’re looking at four to six days of lifting a week, versus one to three days of lifting for general health. 4. You’d have to bulk up your diet to bulk up your body. You don’t expect to lose weight just from working out—you know that a clean and healthy diet is part of the equation too. Well, same goes for getting bigger. Gaining muscle mass comes from a combination of heavy weight training and an excess in calories. If you perform resistance training one to three days per week and you’re not eating more calories than you expend in a day, you probably won’t see a ton of muscle growth. 5. You won’t wake up with insta-muscles. If you do a few bicep curls and eat some spinach, you’re not going to wake up looking like Popeye. Think: it usually takes months just to see some average fitness progress (like more toned muscles or decreased body fat). To get to a bulky or body-builder level of muscularity, you’d not only have to train and diet in an extreme fashion, but you’d have to keep at it for years. Those types of athletes work extremely hard to look the way they do; you won’t end up there by accident, we promise. That being said, to reap any benefits of strength training (even if you just want to stay lean and fit) it takes dedication and hard work. If you’re still nervous about grabbing a pair of dumbbells, your best bet is to get some personalized advice from a trainer who can tailor a strength training program that works for you. Then stick to it. 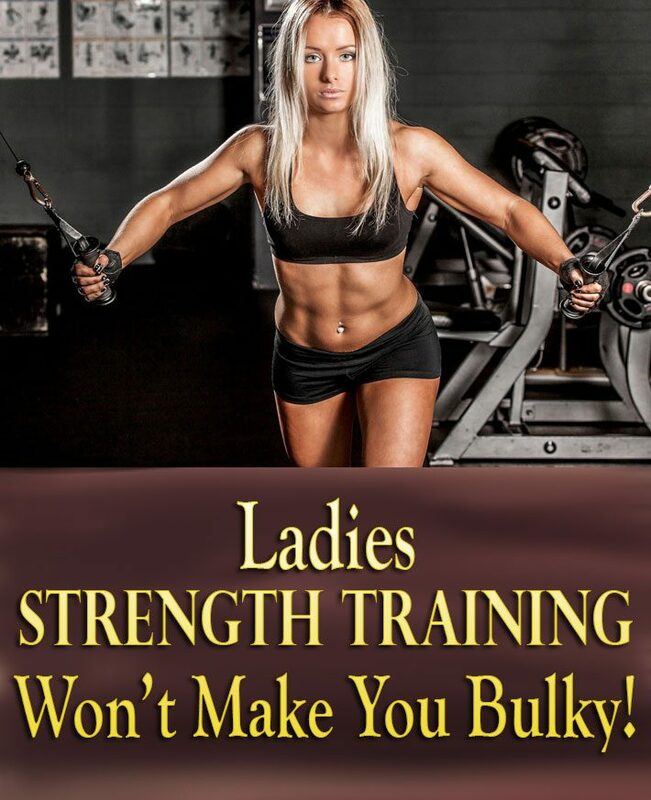 Guaranteed, you’ll be feeling stronger, sexier, and more badass than ever.